The human brain is the most mesmerizing organ of the body that is full of wonders. It is the organ filled with a plethora of unexplored things and a lot of complexities. But in the last couple of decades, the biomedical scientists have made a significant progress in unveiling this miraculous organ of human body. Here is a compilation of 16 amazing facts about the human brain that are surely going to leave you awestruck. 1) The human brain requires one-fifth of total energy consumed by the body despite the fact that it is just 2% of human weight. 2) According to the medical research, it has been estimated that the human brain contains approximately NINETY BILLION neurons or brain cells..!!! 3) Water is essential for our body as well as the efficient functioning of the human brain. If the body is going through a phase of dehydration, then the brain will cease to function properly and as a result, you will experience memory loss, nausea, and other skills. 4) The brain consists of almost 75% water! 5) Cholesterol is one of the essential components of neurons. The brain contains one-fourth of total cholesterol present in the human body. 6) Ever wondered which is the fattiest organ of the human body? Stomach? Thighs? Arms? The answer to this question is BRAIN! Yes, the brain is made up of sixty percent fat which makes it the fattiest organ in the body. 7) The brain grows very rapidly in the infant phase. A two-year-old’s brain is roughly eighty percent of the size of the adult brain! 8) The information in the brain is friggin’ fast and it travels at a speed of 269 mph which beats the F1 racing cars by a considerable margin. 9) A small brain cell of the size of a single sand particle has almost One Lac neurons! 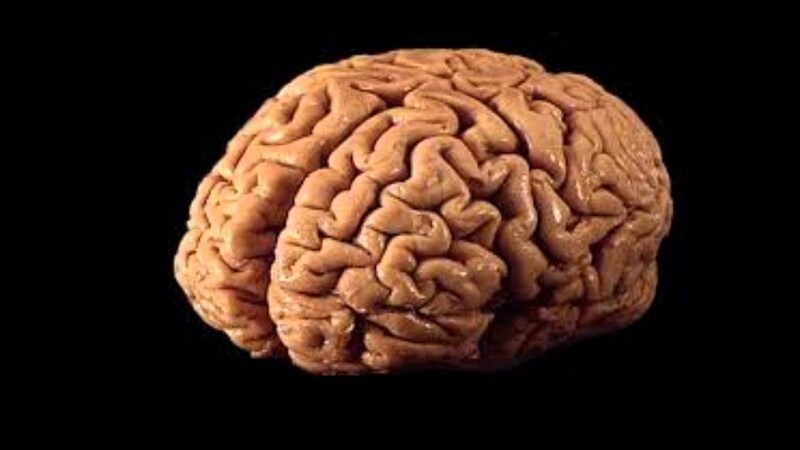 10) Males win over women when the size of the human brain is considered. They have larger brain size. But the part of the brain which is responsible for memory is bigger in women than men. I wonder if that is the reason why women never forget anything? The cab drivers also have a larger hippocampus (responsible for memory) as they have rigorous usage of memory and brain workout. 11) However, the brain size doesn’t matters much. The number and density of neurons are what makes someone intelligent. Einstein's brain was 10% smaller than the average human brain but it has more neuron density. 12) Depression and stress affect brain a lot. They shrink the brain. Also, a ninety minute heavy and sweaty workout will shrink the brain equivalent to the normal shrinkage over one year. 13) The brain can turn into a cannibal! Yes. If the brain is not provided with its nutritional requirements, then it starts to fulfill it by eating itself. Isn’t this creepy? 14) The technology is destroying the brain. Dependency on technology is pushing us towards the inactivity of some brain skills such as the directional sense which took thousands of years to evolve. 15) The brain loses its ability to form memories when the body intakes significant amount of alcohol. This is why we don’t remember whom we called the night we were boozed up..!! 16) The users who use ‘Apple’ products have an active ‘god’ spot in the brain which is responsible for religious beliefs and faith! Astonished? These were some amazing facts which make the brain numero uno asset for us. There is a lot to be explored in the coming years. I guess you are feeling amazed at the capabilities and wonders of your brain.